On the Embarcadero at the foot of Market Street, this is the place for foodies. It’s an artisanal food market, lined with cafes, restaurants, coffee and tea shops, cooking gadget shops, pastry shops, ice-cream shops, and places selling gourmet chocolate, specialty cheeses, wine and more. For a real treat on Tuesdays, Thursdays and Saturdays, go to Ferry Plaza Famers Market, one of the best in the country, which sets up in and around the Ferry Building. This is why you gladly carry an umbrella! The Ferry Building is also the center of a transit hub that connects all of San Francisco’s neighborhoods and surrounding bay communities. Here’s a rainy day tip: The historic trolley cars (Line F Market) stop in front of the Ferry Building. Take it down the Powell/Hyde line to the really interesting Cable Car Museum and return on the Powell/Hyde line. On the waterfront at Pier 39, it’s all about marine life in Big Bay. Discover exhibits filled with thousands of aquatic animals which live in distinct ecosystems that support the Bay’s diverse marine life. Walk through 300 feet of clear tunnels surrounded by thousands of the Big Bay’s marine animals swimming by. Put your hands in the touch pools to gently touch rays, sharks and interesting invertebrates. It’s a great place for all ages, with numerous interactive things to do. Get totally turned around and try to make your way out of the psychedelic black light labyrinth of mirrors. Lots of fun and laughter for the whole family. Well known attraction in various cities throughout the world, this wax museum, smaller than some of the mega-city ones, is a blast! Check your inhibitions at the door, put on props available beside the figures, get right up close to wax look-alikes, which are so real they look alive. This is your chance to get behind the “velvet rope” with favorite A-list stars, like Lady Gaga, Rhianna, Beyonce, Marilyn Monroe or Audrey Hepburn. Pose with world leaders, such as Abraham Lincoln, Barack Obama, Nelson Mandela and entrepreneurs – Steve Jobs and Mark Zuckerberg. Take on major sports greats – Serena Williams, Tiger Woods, Joe Montana, Jeremy Lin. This museum takes interactive to a new level through an ongoing exploration of science, art and human perception. Located on Pier 13 on the Embarcadero, it’s a huge area with endless hands-on experiments with which to engage, and exhibits to view and explore. It’s fascinating and absolutely wonderful for kids of all ages. Kids really get into it, keeping them so busy all day long, they won’t want to leave. With a hand stamp, you can leave for lunch somewhere along the Embarcadero and return later for more cool things to engage the curiosity. Perfect for a rainy day. The Golden Gate Park isn’t just a sunny day adventure.These two great museums are wonderful experiences which totally engage, especially when weather is glum. The vastness and depth of the museum’s holdings, combined with its unique, thought-provoking approach to curating, sets the de Young apart. Significant works span cultures from all over the world, including an extensive collection of American art, contemporary art of international greats, oceanic art – sculpture, basketry, ceramics, wood carvings, painted carvings – American and Native American art from the west coast of North America, Meso-America, Central and South America and African art exhibited thematically rather than geographically. The collection of art through eras of California’s history – Spanish Colonial, Gold Rush, and artists associated with California – is compelling. The focus here is not just on the artistic elements, but on the connectivity between the works in multiple art forms across time and cultures. 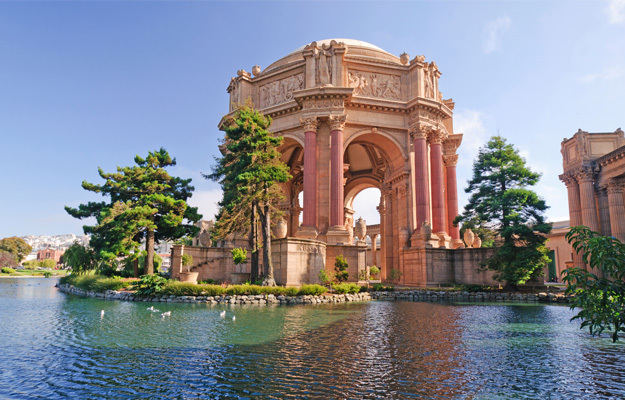 Here’s a tip: if you enjoyed the de Young exhibit, be sure to visit the institution’s sister, the Fine Arts Museum located in the California Palace of Legion of Honor in Lincoln Park, in the Lands End area at the very northwestern tip of the San Francisco Peninsula. Rodin’s huge “The Thinker” is just a sample of what awaits inside – works of European masters, works on paper, ancient arts, illustrated books and 18th century English and French porcelain. A family-friendly, awesome place – all housed under a “live” roof in a state-of-the-art “green” building. It has four really cool experiences rolled into one. The Aquarium has 900+ species of marine life, including sharks, penguins and a coral reef ecosystem filled with colorful darting sea life. The Planetarium, actually a big theater showing fascinating features, is the biggest digital planetarium in the world. A 4-story Biodome covers a steamy, living rainforest where butterflies and birds fly free, and where rainforest river creatures can be seen by walking through an underwater glass tunnel! The Natural History Museum holds, among other exhibits, large whale skeletons. There are other things too, such as experiencing what an earthquake in the Shake House! Don’t forget to check out all the plant life on the living roof! Allow at least ½ day to experience the Earth’s wonders and have lunch there too. Here’s a tip for anyone 21 and older: on Thursday nights, from 6pm to 10pm, enjoy Nightlife, a special museum adventure with music in the background and cocktail in hand. 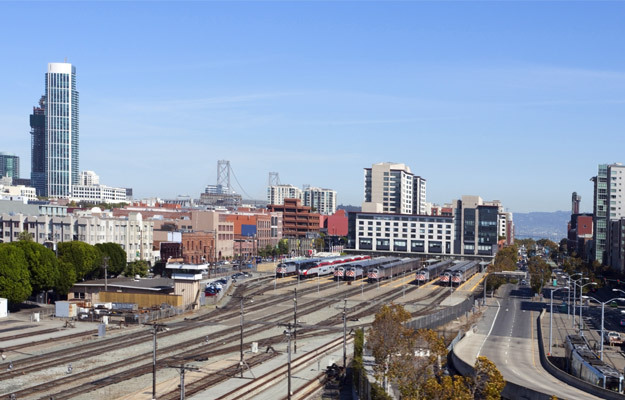 South of Market is a huge multi-use district encompassing several neighborhoods from the Embarcadero to Eleventh Street, between Marked and Townsend. It’s filled with nightspots, hotels, art spaces, lofts, warehouses, the AT&T Giant’s ballpark, the San Francisco Museum of Modern Art (closed in this location until 2016),and Yerba Buena Gardens. Located here too are two interesting indoor places which are good rainy day activities for kids and the adults with them. It’s a blast for kids, toddlers to early teens. Adults with them will learn something too! The only requirement for all ages in this totally interactive place is imagination! Animation Studio is where kids of all ages can create clay characters and learn how to animate them on screen! There are various spaces in which to create something original with different materials and share the creation with family and friends. Or, how about creating something using materials inside a mystery box, or teasing your brain by solving intricate puzzles. Everyone’s a star when performing in front of a screen and being recorded live! Tech savvy kids 5+ really get into trying their hand at the basics of computer coding. Super intriguing. There’s just so much to make, explore, build and do. There’s a wonderful gift shop too, with lots of unique educational items and, if the day is not too rainy, the beloved LeRoy King Carousel is just outside. Two very interesting smaller museums in SOMA focusing on specific human experiences which resonate with all visitors. (1) Museum of African Diaspora: MoAD explores and presents the rich cultural heritage of the people of Africa and of African descendant cultures all across the world. This is accomplished through the sharing of art and stories of common African heritage through exhibitions and programs that showcase the art, history and cultural richness of the African Diaspora. .
(2) Contemporary Jewish Museum: As a non-collecting institution, CJM partners with national and international cultural institutions to present exhibitions and programs that are relevant and represent a high level of artistic achievement. Therefore, there’s always something new and different happening. Innovative exhibitions and programs in art, music, film, literature and debate this unique museum makes the diversity of the Jewish experience relevant for a 21st century audience in a challenging and inspiring way. 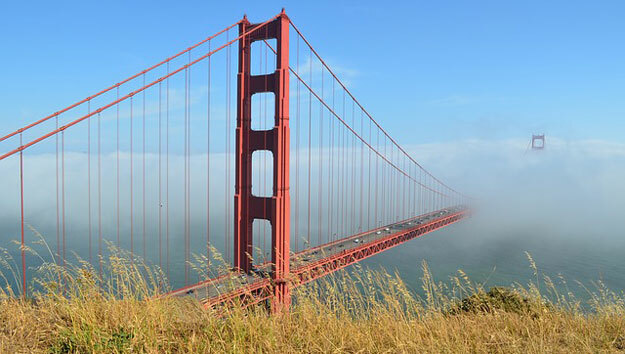 While visiting San Francisco, keep in mind that while it may be rainy or foggy in and around the city,it can be gorgeous everywhere across the bay or down the peninsula. This may be the day to explore outside the city. Go out to wine country, either on your own by car of on one of numerous wine country tours. Gray Line offers a full day winery tour of Sanoma and Napa wineries, which includes lunch on winery grounds. They also have an all day excursion to Monterey and Carmel. The tour goes down the scenic, rugged Central Coast. It’s a beautiful ride, with spectacular views, and includes several stops along the way both in Monterey and charming Carmel, where the boutiques, restaurants and art galleries are great.